Forget Colorado, and nevermind the Netherlands: California is truly the world’s kush kingdom. Countless cannabis strains have been crossbred to perfection in California soil, and many of the nation’s top ganjapreneurs claim their roots in the Golden State as well. Adding to the “every day is 4/20” credo is the fact that the adult use of marijuana is fully legal, making the dream of going into a shop and buying dank-as-hell weed without feeling the stigma of criminalization a reality. So, in a state where you can practically buy marijuana products basically everywhere, what are the spots to look out for? Where can you pick up the highest quality greens, the dankest nugs, the stickiest of the icky, no matter which part of the state you’re in? Let’s work our way down the coast from top to bottom, calling out 20 dispensaries that’ll be your best stops for top-shelf cannabis in California. For a more in-depth look, check out our guides to the best dispensaries in San Francisco, Los Angeles, and San Diego. Much like the geology of Napa Valley is perfect for winemaking, the rich soil and Mediterranean climate of the Emerald Triangle -- the cross-section of Humboldt, Mendocino, and Trinity Counties -- is ideal for cannabis. With plants that can reach in excess of 15 feet high, great weed is never in short supply, as long as you don’t let a certain scary Netflix docu-series frighten you off from visiting this mecca. There’s not a more quaint dispensary in the state than One Log Tree House, built into a giant fallen Redwood and right on site at the Mateel Community Center which hosts the annual Reggae on the River festival. Pick out a selection of flower curated by master grower Kevin Jodrey from Wonderland Nursery, and then endeavor to spend a day floating down the Eel River. California’s most up-and-coming food city will have plenty of munchies options after your shopping spree at RCP Sacramento. The well-trained staff will get you acclimated and comfortable with browsing products -- Kiva Chocolates and Raw Garden waxes among them -- no matter your level of awkwardness. Their adjacent Honey's Hideout gallery is an ode to glass art with cosmic-looking bongs and bubblers; if you’re in the market for a dab rig that’s shaped like a majestic whale, you’ve found your spot. Rich stoner traditions of the counterculture era are still alive in the Bay, although many of today’s would-be hippies are now punching in properly for “the man” with SF being the hottest market for pot jobs in the US. 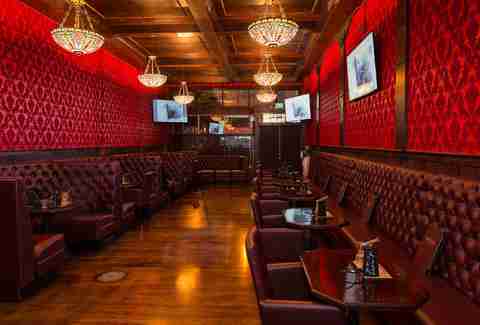 Before you weave your way through Haight Ashbury, pop into Barbary Coast and snag a spot for a 30-minute smoke sesh. Alternately you can choose something special from the curated menu, which features gourmet rarities like Alto’s infused truffle oil along with local stoner standards like Hepburns prerolls and Mellows black sesame marshmallows. 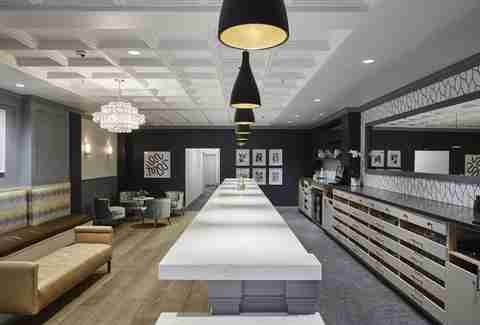 The Apothecarium, with locations planted in SOMA, the Marina, and the Castro, aims to emulate the feel of a boutique clothing store or hotel. The luxe aesthetics -- The Castro location having won Architectural Digest’s award for best cannabis space in the country -- belie a reasonably priced and well-stocked weed shop that offers top-notch service and even hosts education events for healthcare professionals and medical patients. Look for grams starting around $11, and eighths at $25 for a “mixed melange.” Take your first-timer friends here for an all-around classy experience that ends with everyone smoking a whole pack of Henry’s Original joints and getting a Mission burrito. 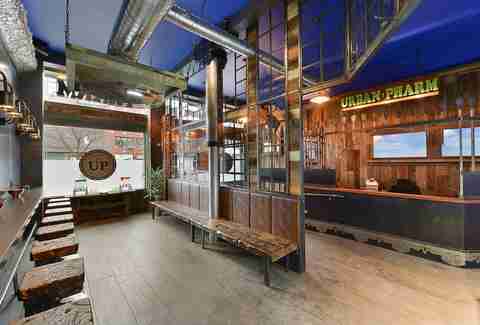 If H. P. Lovecraft had designed a dispensary -- likely after getting baked beyond belief -- it’d be Urban Pharm. Beyond the over-the-top interior design, you’re here for some elite-level greens from Krush Kings, Alien Labs, or Fig Farms. Then take advantage of Urban Pharms rare open-flame permitting which allows for smoking said greens on-site. Perhaps you’ll find the inspiration to write the next great American novel centering around airships and characters wearing goggles that serve no real purpose. A progressive industry leader in the Bay Area, Magnolia Wellness is headed up by Executive Director Debby Goldsberry, an activist and co-founder of the Berkeley Patients Group having championed procedures for procurement, product safety, patient relations, and business operations. 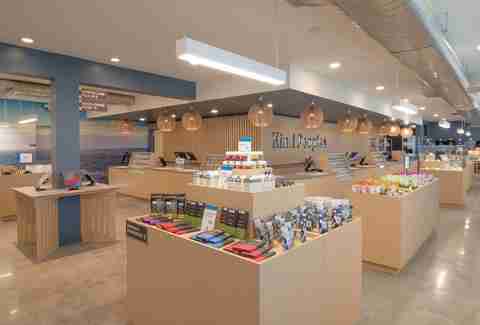 The organization’s mission is palpable inside the retail space displaying top-shelf flower from Devil's Lettuce, Connected, and Lithouse and cartridges from Heavy Hitters and Kingpen. 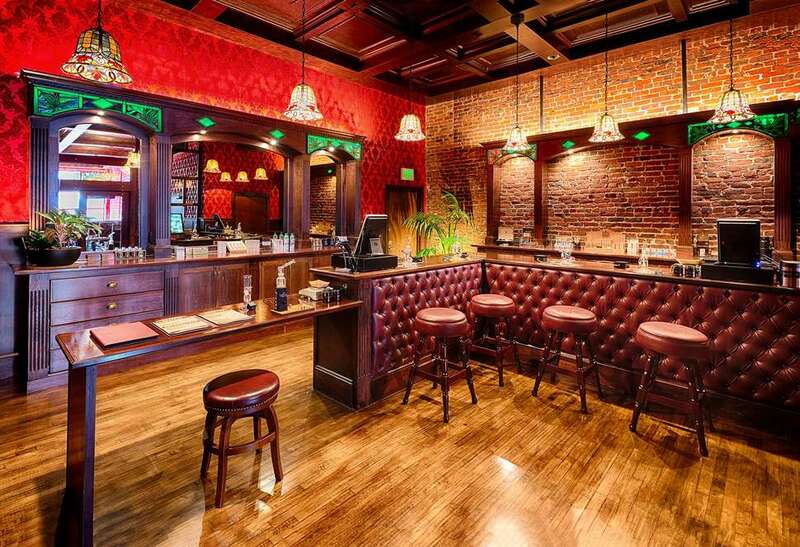 If it’s a smoke spot you’re after, Magnolia is also home to the East Bay’s sole vapor lounge and dab bar where you can use their complimentary Volcano vaporizers and split a 10-foot vapor bag among friends. Although the prospect of attending church while blazed might seem awkward at best and shameful or teary-eyed at worst, this Rastafarian church in San Jose is not your typical hymnal rodeo. The denomination at Coachella Valley Church centers around Elevationism, the overarching belief that weed can accelerate and deepen a person’s individual spiritual journey. Stop at the dispensary counter near the entrance and pick up a little holy sacrament aka hash-infused prerolls, pull up a pew, and sit in quiet contemplation before the gilded ganja altar. Purple Lotus Patient Center carries an extensive menu of designer concentrates, topicals, and more than 50 strains. The dispensary works with Weedmaps’ verified vendors like Alien Labs and Care By Design, along with top names in the industry like Heavy Hitters and LOL Edibles. There’s a variety of grape-y purple strains on offer (fittingly on-brand), so you can stop at this purple place, pick up a purple shirt, and pick up some Grandaddy Purple for a relaxed euphoria fest in the future. Grimace would be proud. Caliva is the perfect amalgam of Silicon Valley tech, an OG growhouse, and sleek product presentation. The dispensary is housed inside Caliva’s impressive 95,000-square-foot cultivation facility, which is vertically integrated -- meaning that the pot is grown, harvested, processed, and sold on-site. The interaction between customers and budtenders is free-flowing and friendly, you could easily mistake the interior for an Urban Outfitters… albeit one that happens to sell ganja. Expect to find a full range of products, from high-end Pax gadgetry to a discreet four-pack of dogwalker mini pre-rolls for toking on the go. 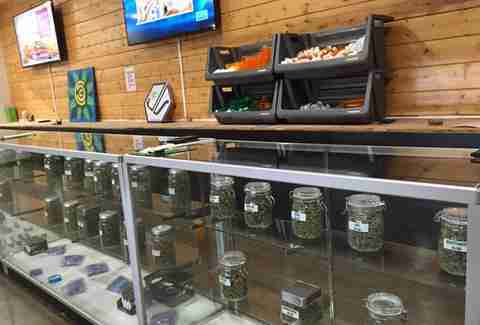 There’s a lot to like about Santa Cruz’s largest marijuana dispensary. First off, new visitors are greeted with a house blend preroll (of locally grown flower tested by SC Labs) for just a buck. For savvy return customers, they offer express lanes for online orders so you can grab your greens and get going. One thing that sets KindPeoples apart from most other pot shops is their expansive digital seed bank and selection of starter plants (clones), should you decide you want to grow your own bud. If so, Californians are legally obligated -- er, allowed -- to grow up to six plants at home. If you’re looking to take a walk through LA’s alluringly graffitied Arts District, you’d be better off taking that walk... ON WEED. Plus, you can go get Guerilla Tacos or a Sunday slice of mac & cheese pizza at Pizzanista afterward. The place to start your excellent adventure is City Compassionate Caregivers, which offers Caviar Gold and Dime Bag pre-rolls in addition to concentrates, topicals, drinks, tinctures, and gear. City Compassionate Caregivers has collaborated with weed moguls including the Wu-Tang Clan, Cypress Hill, and Snoop Dogg -- and their two-floor grow facility even uses Snoop’s Premium Nutrients on a number of plants. This blossoming franchise is the brainchild of hip hop artist and marijuana mogul Berner, who opened the chain of state-of-the-art dispensaries in the hopes of setting a new standard in a city flush with pot shops on every corner. Of course there are big baller options like Blue River Strawnana Mochi Flan concentrates for $130 per gram, or Sunset Sherbert flower for $150 an ounce, but even if you’re rolling up in a 2005 Chevy Cavalier, you’ll find quality items that fit your budget. Flower is grown and trimmed on site, and Berner even has plans to install picture windows on grow rooms so walk-ins can admire the crops before consuming. When you reach the giant selfie mural of the mystic woman cradling a weed plant, you’ve arrived at Green Goddess Collective. Inside, explore the wealth of wellness and beauty products in the form of tinctures, capsules, olive oil, kombucha (of course there’s kombucha), lozenges, and honey. Meet with one of the friendly budtenders during “goddess hour” from 4-5pm for extended deals on eighths; it’s also highly recommended that you pick up a Kikoko peppermint Positivi-Tea and exit out to the Venice canals for a sunset stroll. Exhalence’s calling card is its signature strains like Diablo, Skywalker OG, and Girl Scout Cookies, all grown in-house in the highly controlled Inhalence Garden using organic nutrients, on display from the radiating orange UV-lit dispensary windows. Exhalence’s supplies also include edibles, beauty supplies, and even pet-friendly CBD products. Look for patient appreciation days and workshops throughout the week where vendors like HoneyVape, Lowell, or Gold Flora will offer up swag and basement-level deals. 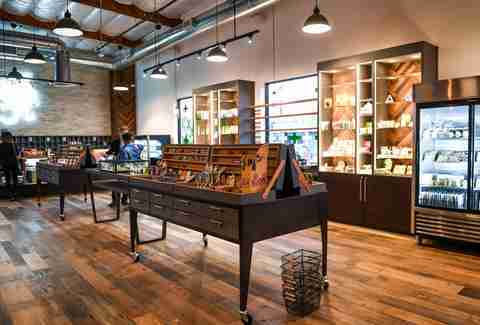 This chain of designer weed shops has built its reputation on the strength of its high-end extract selection. Connected manufactures its own range of weed products, from butane hash oil and carbon dioxide extracts to rosin (heat-pressed cannabis flower that looks like translucent sap and is wonderfully potent). Cultivators at Connected Cannabis Co. can also hang their hats on their advanced breeding of Gelato strains -- which is basically catnip to California connoisseurs. The award-winner Gelato #41 has begotten equally tasty strains like Gushers and Biscotti. This boutique dispensary was one of the first in Orange County to land a recreational license from the state regulators at the Bureau of Cannabis Control (BCC). Inside the industrial, exposed brick shop with beautiful bongs adorning the walls, you’ll find touch-screen menus to help you peruse strains and products with the option to trace the history of the herb you’re planning to buy, as tracking plants from seed-to-sale including thorough lab testing are pillars of BCC licensing. Bud & Bloom also offers a 10% discount to medical patients, seniors, and veterans. From the Earth’s 1,000+ item inventory includes flower, concentrates, tinctures, topicals, accessories, vape pens, and edibles. The Santa Ana location is Ventura County's first adult use dispensary -- “adult use” being industry-speak for “no doctor’s note necessary” -- and has seven budtending stations with jarfuls of Henry’s Fire Haze, SDStrains’ Blue Dream, and EmberValley's Orange Peels. The bright and airy environs of Safe Access come with miraculous views of Palm Springs. 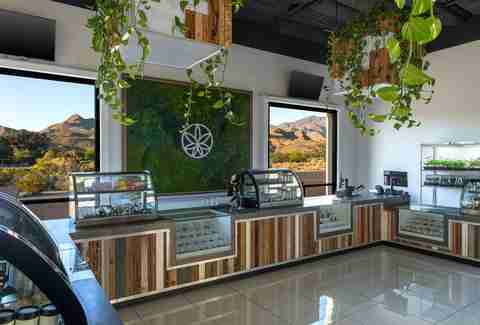 In order to properly amplify your Gene Autry Trail experience with a mountaintop tram ride or Desert Zoo giraffe-feeding session, you’ll want to fuel up at this dispensary. Pair your desert fun with a few joints-worth of Flow Kana sunset sherbet or, if you’re really camping out, Nativ’s high THC-percentage strains like Blue Pearl or Godzilla Glue. From Ocean Beach to Sunset Cliffs, San Diego’s geography alone will put you in a perpetual state of four-twentiness. Area stoners will point to Golden State Greens as go-to stop in Point Loma -- not just for the 25% discount to San Diego residents, but for their wide selection of top-shelf flower, wax, resin, oil, and other products, all of which you can order in advance to pick up. Add to that a diverse, eager-to-please staff, and you’ve got the makings of a true local favorite. While San Diego is a market dying for more dispensary licenses to be issued, until that next wave hits, your go-to in Bay Park or Golden Hill is the decidedly bougie Urbn Leaf. The staid grey pantones of the “feel good drug boutique” contrast the glowing display screens and bright packaging of edibles, prerolled joints, salves, supportitories, and sensual CBD-infused lube. A bonus of the Bay Park location is the branded “CannaBus,” which shuttles customers back and forth from bars in Pacific Beach and Ocean Beach. Gary Goodson is a cannabis writer and researcher from Garberville, CA, though his years in the Emerald Triangle have been friendlier than what you’ll see on Murder Mountain.